A simple checkup now can make a BIG difference to your child’s health forever. You do so many things to ensure your baby’s health: during pregnancy you eat right; you avoid cigarettes, alcohol and all drugs (vaccinations, aspirin, cold, flu, and other over-the-counter medications can damage your unborn child or cause problems in pregnancy); and you explore natural, drug-free birth alternatives. After the baby arrives, you (hopefully) breastfeed knowing that it is the superior form of nutrition for your baby’s physical, intellectual, and emotional health. In short, you do everything you can to make sure your baby is healthy. But have you had your baby’s spine checked? How do you know if your child’s spine is healthy? An unhealthy spine can affect your child’s health for his/her entire life. Your doctor of chiropractic is specially trained to check your child’s spine for areas of distortion causing nerve damage—the subluxation complex (subluxations). Research is confirming chiropractors’ observations that infants may suffer from spinal subluxations. In one study, 1,250 babies were examined five days after birth; 211 of them suffered vomiting, hyperactivity, and sleeplessness. Subluxations were found in 95% of this group. Although the researchers in this study were MDs, they recognized the power of chiropractic care and those babies were given the care they needed. The spinal adjustment “frequently resulted in immediate quieting, cessation of crying, muscular relaxation and sleepiness.” The authors noted that an unhealthy spine causes “many clinical features from central motor impairment to lower resistance to infections—especially ear, nose, and throat infections.” (4) The above study discusses an 18-month-old boy suffering from tonsillitis, frequent enteritis, therapy-resistant conjunctivitis, frequent colds, earache, and increasing sleeping problems. He received a chiropractic spinal adjustment. The child demanded to be put to bed and slept peacefully until morning. His health returned to normal. In another study of 1,093 newborns, 298 had upper neck stress and early signs of scoliosis.6 Surely too many children are born with subluxations that left uncorrected could hinder their health for the rest of their lives. For over a hundred years doctors of chiropractic have observed the often dramatic responses of infants to chiropractic care. There seems to be no limit to the conditions that can respond to chiropractic care: colic; (7-10) difficulty breast-feeding; (11-12) Erb’s palsy (an arm is limp and undeveloped); (13) torticollis (twisted neck); (14-15) unbalanced face and skull development; (16) foot inversion; (17) “nervousness;” ear, nose, and throat infections; (18) allergies and sleep disorders; (19) and projectile vomiting (20) are all just a sampling. All infants, however, sick or well, need to have a healthy structural system. Uhing MR. Management of birth injuries. Clin Perinatol. 2005;32(1):19-38,v. Towbin A. Latent spinal cord and brain stem injury in newborn infants. Develop. Med. Child Neurol. 1969;11:54-68. Webster L. Int’l. 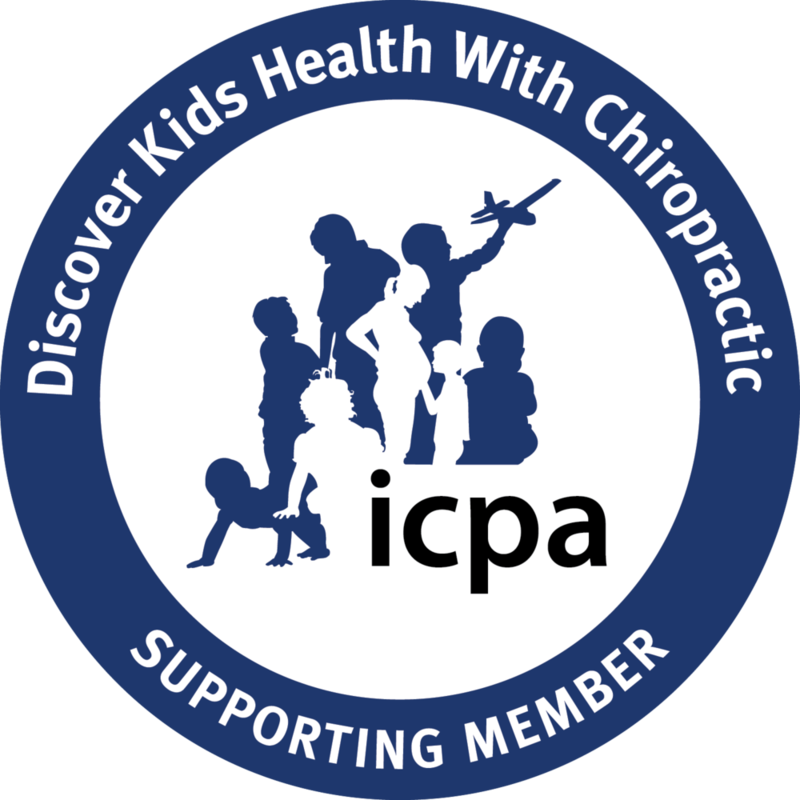 Chiropractic Pediatric Association Newsletter. May 1990:1. Gutmann G. Blocked atlantal nerve syndrome in babies and infants. Manuelle Medizin. 1987;25:5-10. Siefert J. Die kopfgelenksblockierung des neugeborenen. In K. Lewit and G. Gutmann (Eds.). Rehabilitacia (Vol. 8). Prague: Bratislawa. 1975:53. Ressel O, Rudy R. Vertebral subluxation correlated with somatic, visceral and immune complaints: an analysis of 650 children under chiropractic care. JVSR. October 18, 2004;1-23. Nilsson N. Infantile colic and chiropractic. Eur J Chiro. 1985;33:264-265. Pluhar GR, Schobert PD. Vertebral subluxation and colic: a case study. J of Chiropractic Research and Clinical Investigation. 1991:7:75-76. Wiberg JMM, Nordsteen J, Nilsson N. The short-term effect of spinal manipulation in the treatment of infantile colic: a randomized controlled clinical trial with a blinded observer. JMPT. 1999;22(8):517-522. Sheader WE. Chiropractic management of an infant experiencing breast-feeding difficulties and colic: a case study. Journal of Clinical Chiropractic Pediatrics. 1999;4(1):245-247. Cuhel JM, Powell M. Chiropractic management of an infant patient experiencing colic and difficulty breast-feeding: a case report. Journal of Clinical Chiropractic Pediatrics. 1997;2(2):150-154. Harris SL, Wood KW. Resolution of infantile Erb’s palsy utilizing chiropractic treatment. JMPT. 1993;16:415-418. Stone PA et al. Reduction of congenital torticollis in a four-month-old child with vertebral subluxation: a case report & review of literature. JVSR. January 7, 2008;1-8. Toto BJ. Chiropractic correction of congenital muscular torticollis. JMPT. 1993;16:556-559. Ellis WB, Ebrall PS. The resolution of chronic inversion and plantarflexation of the foot: a pediatric case study. Chiropractic Technique. 1991;3(2). Fryman V. Relations of disturbances of cranio-sacral mechanisms to symptomatology of the newborn. JAOA. 1966;65:1059. Munck LK, Hoffman H, Nielson AA. Treatment of infants in the first year of life by chiropractors: incidents and reasons for seeking treatment. Ugeskr Laeger. 1988;150:1841-1844. Van Loon M. Colic with projectile vomiting: a case study. J of Clinical Chiropractic Pediatrics. 1998;3(1):207-210. Webster L. International Chiropractic Pediatric Association certification program, Module 1. Toronto, Canada, March 11, 1995.